The best way to tour the Sonoran Desert in Baja Arizona is by stand up paddleboard. That’s right. What you just read is not a mirage. There are people who hike, bike and the like, but stand up paddle boarders can see everything from the water. Think about it. Everything from the iconic saguaro cactus to trees (mesquite, palo verde and cottonwood), to reeds and grasses, grow near or next to water. Coyotes, cattle, and wildcats flock to it. Hummingbirds, herons and hawks fly over it. On a summer afternoon, a thermal breeze blows out of the west, shadows lengthen, and the monsoon sunset splashes big colors across the thunderheads. And you can be there, on your board, under a big sky, in the middle of it. Baja Arizona is at once a place on the border that has flexible borders; it’s generally the land south of the Gila River to Mexico though, because it’s also a state of mind (there have been rumblings about secession—not from the Union, but from the rest of Arizona—since Territorial times), there are differences of opinion. But it’s the way the differences come together—like stand up paddle boarding in a desert—that make Baja Arizona such a great place to visit and paddle. 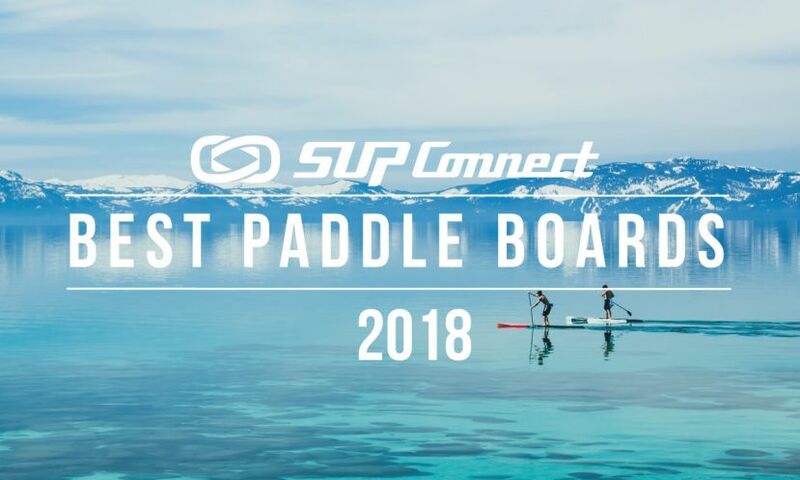 Question: Is Winter, Spring, Summer or Fall the best season to SUP in Baja Arizona? Answer: Yes. You can paddle year round here. There can be 30-degree temperature swings from overnight low to the daytime high. You might not be barefoot, bare-chested and in board shorts, but you can leave the drysuit at home. (Reef boots, neoprene knee length shorts—worn under said board shorts—and long sleeve neoprene pullover will be enough for most cool days.) The boaters and swimmers of summer are gone. The water is glass, the sky a deep blue, and the glide sublime. For people informed by stories of eggs frying on the hoods of cars, summer in Baja Arizona, like jalapenos, is an acquired taste. Here’s the good news: Tucson, at 2,400 feet elevation, is higher and cooler than Phoenix. The lakes of Baja Arizona—Patagonia, Pena Blanca and Parker Canyon are in the higher hill country south of Tucson and cooler than Tucson. The legendary “dry heat” — which can mean near single digit humidity — usually holds until July when monsoon season arrives with its massive thunderheads, torrential downpours, and temperature drops. The keys to not just enduring, but enjoying paddling in the summer are hydration, hat, sunscreen and sleeves. And falling in isn’t to be avoided, but embraced. With the relatively low humidity — even during the monsoon — the air wicks away water and faster than you can say, “Style points for my custom dismount,” evaporative cooling happens. The best part of summer is this: Baja Arizona is not crowded. Snowbirds, students and other seasonal visitors have bailed. Why is that good? Tucson, with its deep and multicultural food history, has been designated a UNESCO Capital of Gastronomy. That means you will eat well. You can pick a restaurant, from a resort in the Catalina Foothills to an ethnic bistro or microbrewery Downtown, and get in. No reservation, no problem. Dress code? Casual. You can go from board to booth. But there’s no rush to get back to Tucson. There are vineyards with tasting rooms in Elgin, two 17th century Spanish missions, Tumacacori and San Xavier along I-19, and restorative burgers and beer at The Wagon Wheel in Patagonia. Or you can spread a blanket, open the cooler, and have a front row seat for the best sunsets anywhere. Baja Arizona will not replace New England for Fall foliage, but trees here do change color and the sky makes up for what the leaves lack in color. The lakes also remain swimmable well into October. Silverbell Lake. For a quick pre-road trip water fix, there’s Silverbell Lake in Tucson. Patagonia Lake, located inside the Sonoita Creek State Natural Area , 73 miles south of Tucson, includes a sandy beach, coves, campgrounds, and islands. Time it right and attend the mariachi festival. Cabins that overlook the lake are now available to rent. Pena Blanca Lake, 68 miles south of Tucson, is tucked into the Pajarito Mountain foothills. There’s no entrance fee and no services. This is deep Baja Arizona. Parker Canyon Lake is past Sonoita and the vineyards in Elgin. It’s understandable if you don’t make it past the vineyards. Roper Lake is a gem with cabins near the Pinaleno Mountains. Saguaro Lake: North of the Gila, but we approve. Road tripper? Tucson sits at the crossroads of I-10 and I-19. The most scenic route to Patagonia Lake and Parker Canyon is via I-10 East to AZ 93 South through the foothills of the Santa Rita Mountains into mile-high Sonoita. To get to Patagonia Lake, turn right on AZ 92 to Patagonia. You can provision, eat, and sleep there and drive a dirt road south to the site of the once-thriving silver mining town of Harshaw. For SUP lessons and tours. Downtown Tucson: Park. Walk. Eat. Drink. All about the Sonoran Desert.